Familiarize yourself with the process – A major hurdle with window replacement projects is not knowing where to begin. Many homeowners find things like filing for permits and making sure the project complies with building codes too taxing. Replacement window contractors take care of the complicated things for you, so you can focus on the results of your project. Research the cost – Project cost is another concern among many homeowners, which is understandable as it can swell if not managed properly. You won’t know how much it will cost until you get a quote, but it helps to research the ballpark cost of the project. You should also have an emergency budget—about 10% to 20% of the projected cost—for incidentals and unexpected repairs. We also can also help you with our financing options if you don’t have the funds on hand. Know the time frame – The window installation itself can disrupt your daily activities. 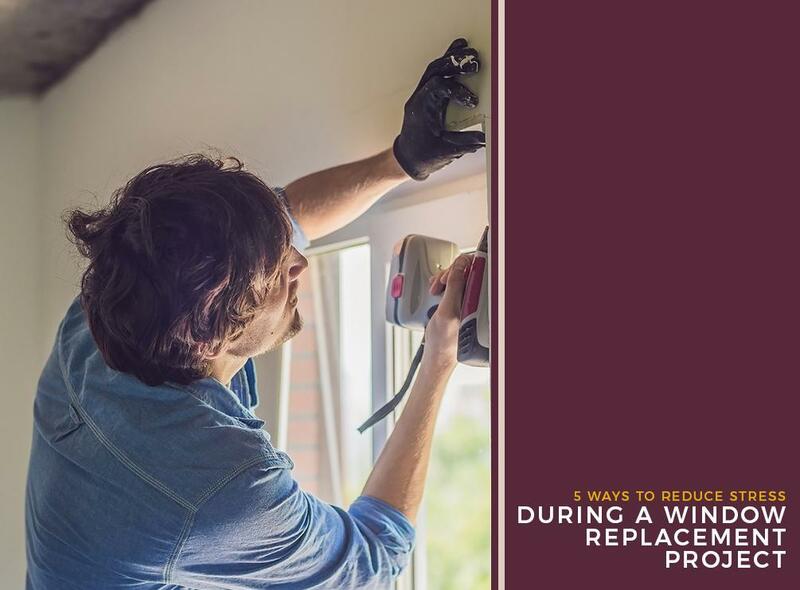 Installing replacement windows may take more than a day depending on the complexity and size of the project and you will likely need to arrange temporary accommodations for your family in the meantime. It’s also important to hire a window company that will stick to deadlines and doesn’t rely on subcontractors. Know how to manage project changes – While not the most ideal situation, changes to remodeling projects midway do happen and should be anticipated. Prior to signing the contract, you should establish a change procedure that indicates the person authorized to sign off on changes in case you’re not available. Track all these changes and any associated costs in writing. Establish communication – Before the window installation starts, exchange contact information with the team leader in case of time-sensitive actions that need your approval. In addition to phone numbers, you should exchange email addresses for photos or documents. Our team at Kroll Construction aims to make your window replacement experience a pleasant and stress-free one. Call us today at (888) 338-6340 or fill out our contact form to schedule a convenient time for a free estimate. We serve homeowners in Michigan and nearby areas.